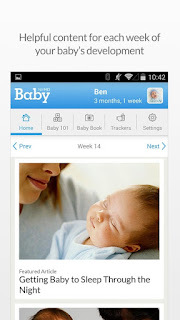 The Feed Baby app has loads of features which will help you track everything about your newborn. 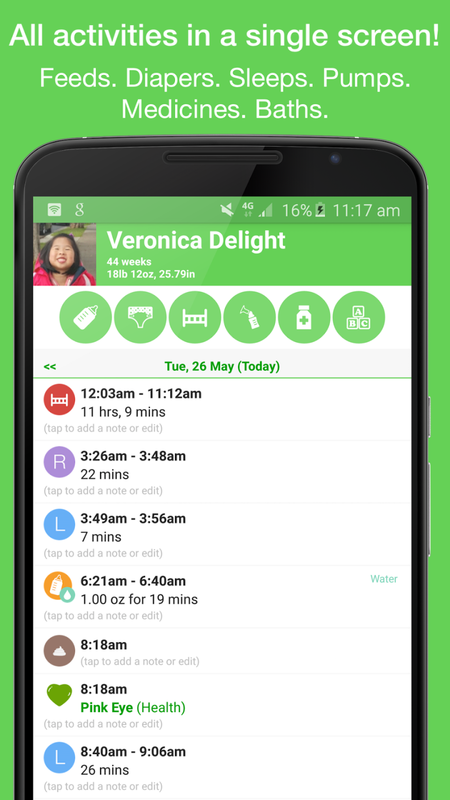 Track feeds, diapers, pumping sessions, sleep, medicines, growth, vaccinations and more! The app also features timelines of all activities, growth charts, graphs, reports, easy note taking, summaries and averages of quantities pumped and consumed. It's easy to use and visually pleasing. Download the app here. Nothing is scarier than when you think your little one may be sick or ailing. The WebMD app is a great source for trusted information about your baby. (Remember, there's lots of false information on Dr. Google!) This app features news articles, doctor approved tips, and videos tailored to your baby's age. You can also create a baby book and manage baby's schedule on the app. 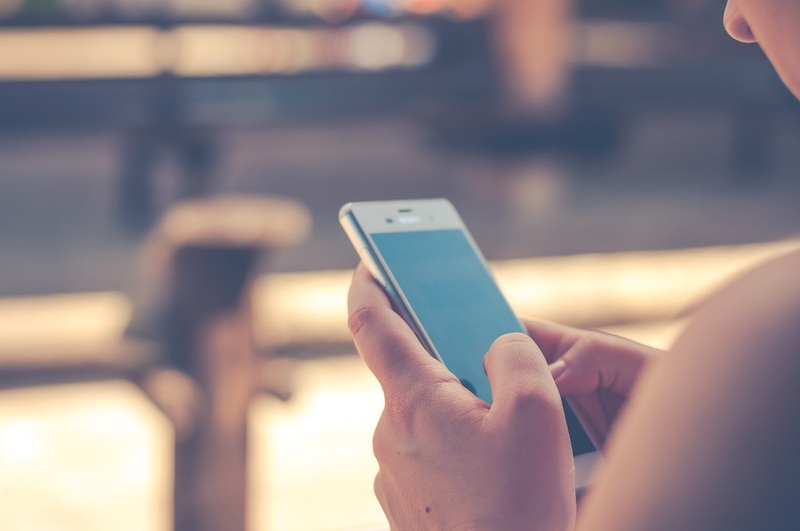 Of course, it's important to consult your pediatrician when there's concern, but this app can help to determine what is a major concern and what is normal. Download the app here. The Wonder Weeks app is the only one on this list that costs anything, but it is so worth it. Wonder weeks are periods of fussiness. They are predictable based on baby's age and coincide with big developmental leaps. This app will help prepare you for coming periods of fussiness and help you to understand why they are occurring. The app also details what new skills baby will be developing after each leap. Download the app here. The White Noise Baby app can be essential to helping your newborn get to sleep. 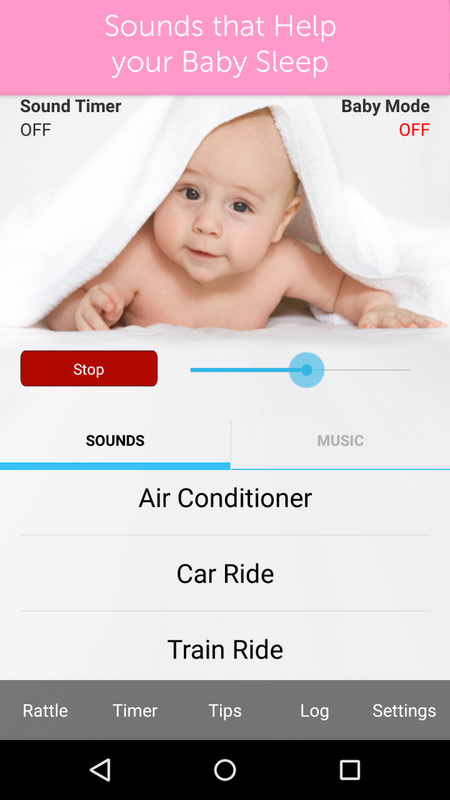 The app features 20 perfectly looped ambient sounds and 10 classical music tracks to help soothe your little one. Some of the noises include car rides, air conditioner and womb noises. The app also has a baby rattle feature to entertain baby. No need to spend money on white noise machines when you can get a free one right on your phone! Download the app here. It's important not to forget to care for yourself after having a new baby. 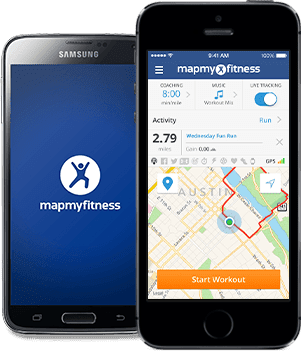 The MapMyFitness app is perfect for tracking just that. The app connects with fitness devices and other fitness apps and has GPS features to track your walking, jogging or cycling routes. 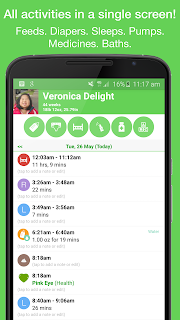 You can also record other workouts, track calories and nutritional intake all in one place. You can even add in breastfeeding to account for the calories burned. Download the app here.